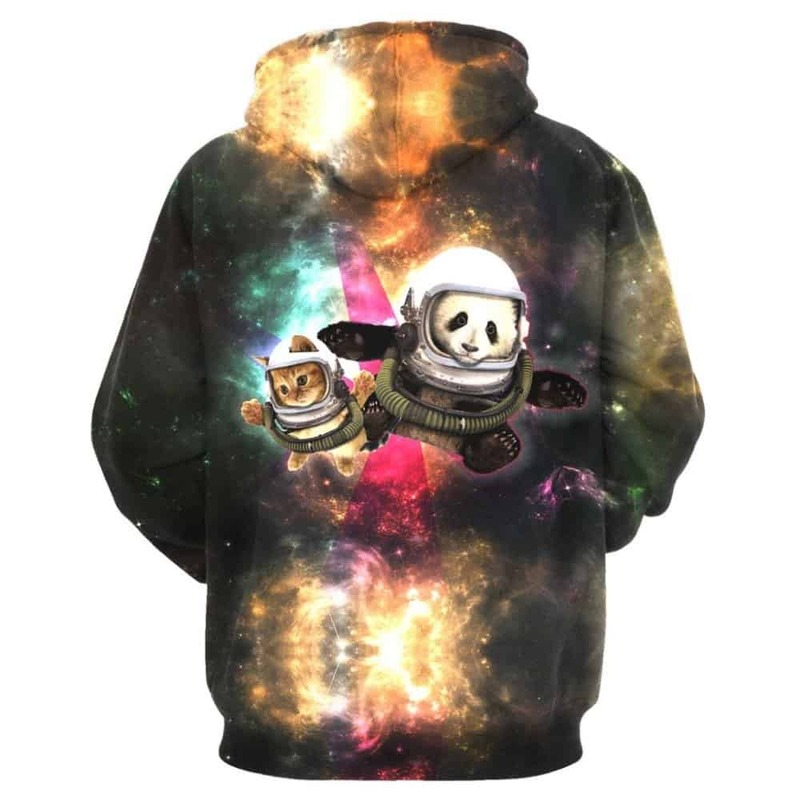 This Space Animal Hoodie is a cool concept. 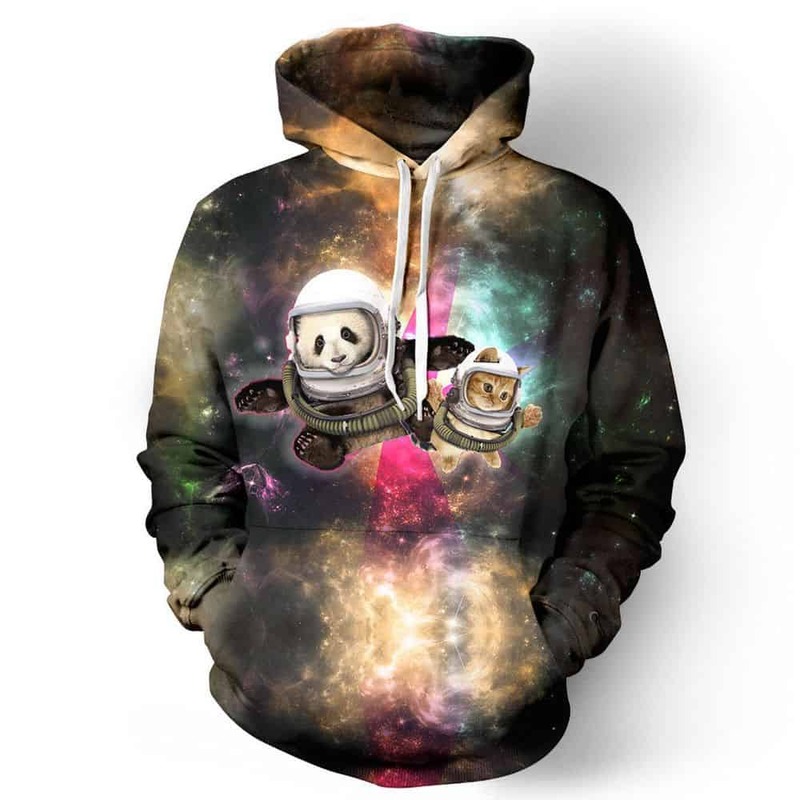 It features both panda and a cat floating through the vast expanse of space with their little astronaut helmets on. We love this hoodie. The hoodie is comfortable to wear, looks fashionable and is wearable anywhere. It was designed for both male and female.